Home » Academics » Is there a Cancer Growing in Our Schools? We are failing boys if we don’t address the “malignancies” in the education system. If you think of this as a cancer, it is growing, and similar to health, we cannot as a nation, ignore something that requires our immediate attention and corrective action. As you may know, boys and girls actually do learn differently and this is based on their biology. If you are unfamiliar with the writing and research of Michael Gurian, Gurian Model Schools study the science, conduct regular training sessions for their faculty and staff, and implement boy-friendly strategies. Stand up desks, fidget toys, hands-on exercise, technology, movement, music, team-building, and other approaches are incorporated into the classroom. Unfortunately, there are fewer than 20 Gurian Model Schools in the United States, so the “cancer” is hardly contained! Building classrooms built for boys that will motivate them, reignite their passion for learning, and get them engaged requires more than just the standard approaches. First, we must learn what we do not know about our boys, our sons, and the toll this “cancer” is causing. Boys’ brains are alerted by things moving through space. Boys learn well visually. Allowing boys to draw their thoughts before they start writing allows them to be more expressive and more detailed in their writing. Giving breaks to boys – a short break in class where they can stand up, stretch, and exercise in place – moves their brain from a resting state to one that is now more prepared to learn. Boys like to move, so employing techniques in the classroom that allow them to do this promotes better results. Boys like to compete, so strategies in the class that allow them to do so are very effective. Boys respond well to both relevant and novel information in the classroom, so designing projects with this in mind is beneficial. Where expectations are high, and in single gender classes where boys are consistently directed, they are more likely to thrive. Class structure by way of size is important to boys. Now, that we know more about the boy brain, how does this translate into classrooms built for boys? How do we use brain science to inform faculty to address the “cancer”? ★ Standing desks help disrupt the brain’s return to rest and a swinging foot rest allows boys to stay in motion, assisting in an active brain. ★ Squeeze balls help boys keep their brains active. Controlled fidgeting keeps boys on task if the educators understand how to use these tools. ★ Brain breaks where boys stand up at their desks (assuming they are sitting) and move at their desks or around their classroom interrupts a boy’s brain’s natural tendency to return to rest. ★ Competitive learning strategies within a cooperative framework keep boys engaged in classroom activity. 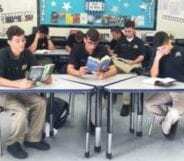 ★ Team strategies in our classrooms work for boys on our campus. They compete, bond, and learn to work with varied skill sets in their groups. ★ Graphs, pictures, and story boards allow the Academy’s boys, who learn better visually rather than verbally, to garner more from instruction. So, boys asked to write an expressive narrative are inclined to be more expressive if they first draw what they will write about. Beyond the classroom, extending boy-oriented life lessons after school is critical. Whether this is during sports, study time, clubs, trips, or weekend activities, boys need to take the lead, learn how to follow, work in teams, and convert abstract lessons into concrete actions. To facilitate maturation, personal growth, and character development, we must educate teachers, coaches, and residential life staff to truly understand the science behind gender-based learning differences. Not only should schools build awareness and take action, but today’s parents must understand and choose a school that will work for their son. The “cancer” requires your attention and your son can be a “survivor” if you catch this soon enough. 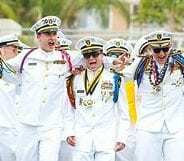 With all the options out there, here are a few reasons why a military boarding school could be the cure for your son. 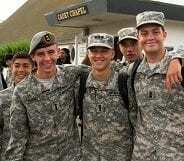 For boys, military schools are not a punishment, but an amazing opportunity for boys to be boys. 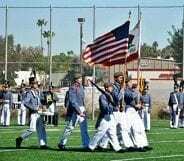 The military component at some schools is used as a boy-friendly technique that provides moral education whereby concepts such as duty, loyalty, compassion, honor, integrity, courage, respect, and gratitude are taught. The military component also provides hierarchy and rites of passage, habit and structure, better personal appearance, peer leadership, and mentoring – all in a boy-centered environment. Rules and standards are a boy’s friend, not his enemy, so long as they are presented as methods of conduct that promote success and not rigidity. Boys crave structure, hierarchy, and order. Structure does not strip them of creativity, it creates unity and bonding, so boys are naturally drawn toward it. Boarding allows for 24-hour training and creates an opportunity for education and character growth outside the mundane confines of the academic boundaries. How do we create virtuous thoughtful young men if they are not grounded by a sense of purpose and guided by an internal moral compass? Now that you know there is an actual crisis, a cancer that is growing and why it has grown, what are you now prepared to do? Do your research on Single Gender Education and become familiar with key authors on this subject. 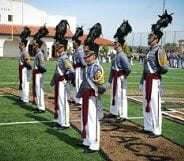 Explore different types of boarding schools, in particular, military boarding schools with the Gurian Model Certification, one that offers a highly structured day, fun and challenging after school and weekend activities, and a chance to gain a personal identity informed by values, leadership training, and life skills. Give your son a chance to get grit, gain independence, learn to lead, put their potential to the test - all things boys crave. Celebrate the differences and avoid comparisons between your son and daughter if you have both in your family. Allow boys to be boys… It will be a life-changer for them and for you. Face the cancer, take action, and see your son thrive!